In 2010, divers rescued some amazingly old alcohol from a shipwreck off the coast of Finland. They’ve already published some detailed tasting notes about the beer—but now they’ve carried out an in-depth analysis of the champagne they found, too. The bottles of champagne found aboard the ship were actually eminently traceable. Markings on the corks allowed historians to easily spot that the bottles came from three champagne houses, still well-known today: Veuve Clicquot Ponsardin, Heidsieck and Juglar. But of course, what lurks beneath the cork is a totally different story. So Philippe Jeandet, a professor in the Faculty of Sciences at the University of Reims—the city at the heart of the Champagne region—has been investigating just that. He and his team cracked open three of the bottles—refereed to as A11, A33, and B17—and performed a series of chemical analyses on them. The findings are published in the Proceedings of the National Academy of Sciences. The results show that all the bottles contained far more sugar than modern-day champagne—about three times as much, in fact. But that finding isn’t too surprising. These bottles contained 140 grams of sugar per liter, but drinkers of the time actually had a taste for sweet wine—and it wasn’t uncommon for bottles to contain up to 300 grams of sugar per liter. More interesting is that the bottles contained “unexpectedly high” levels of iron and copper. The researchers reckon the copper likely originates from copper sulfate, which was upon a time used to protect vines against fungal diseases. The iron could, they speculate, have wound up in the wine from nails that held wooden fermentation barrels together. The team also found very low levels of acetic acid in the champagne, which suggests it didn’t spoil as much as we may have expected. 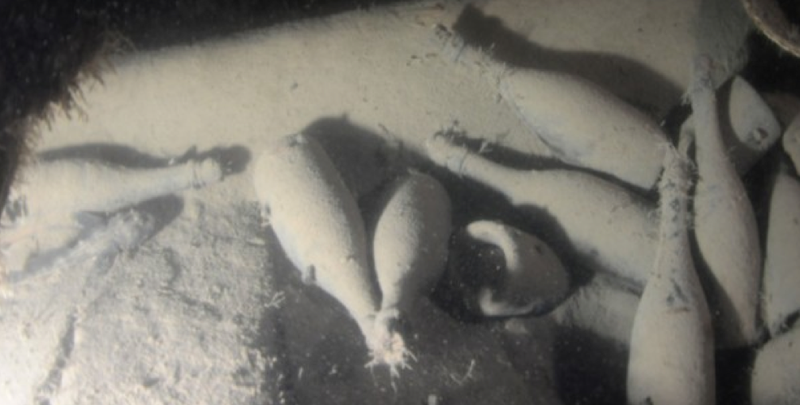 Clearly, the cool, dark conditions of the sea bed are pretty great for storing champagne. At first, the Baltic samples were described using terms such as ‘animal notes,’ ‘wet hair,’ ‘reduction,’ and sometimes ‘cheesy.’ ‘Animal notes’ are unequivocally related to the presence of volatile phenols... ‘wet hair’ descriptors were to be expected for a wine that had spent such a long time sheltered from any oxygen source, and they were justified by the presence of light sulfurous compounds such as hydrogen sulfide, methanethiol, and dimethyldisulfide... Finally, the term ‘cheesy’ is related to butanoic and octanoic acids.